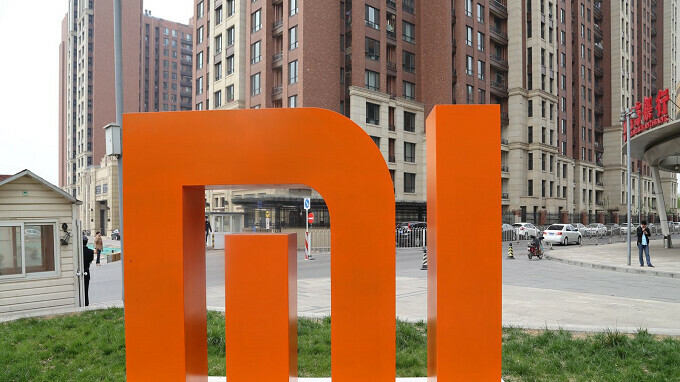 Back in January, we told you to expect Chinese smartphone manufacturer Xiaomi to go public sometime this year. A few days ago, more details about the offering leaked out. Tonight, it is official. Xiaomi will be looking to sell at least $10 billion in shares in Hong Kong at a valuation of $100 billion. The smartphone manufacturer will be the first major company to go public in that country since rule changes allow for the listing of different share classes on the Hong Kong Exchange. Xiaomi released its first smartphone in August 2011, and has quickly become one of the top handset manufacturers in the world. According to IDC, the company is the fourth largest smartphone manufacturer, and saw its global smartphone shipments soar 87.8% year-over-year during the first quarter. The company shipped 28 million handsets from January through March compared to 14.8 million delivered in the same quarter last year. That gave Xiaomi an 8.4% of the worldwide smartphone market at the end of the three month period. The surge in shipments during the first quarter was helped by Xiamoi's expansion into India, which was a grand slam for the company and allowed Xiaomi to nearly double its market share even when the Chinese smartphone market remained sluggish at best. The company could also be close to making its long awaited entry into the U.S. market. Xiaomi is reportedly talking to U.S. carriers about selling its flagship phones in the states starting later this year, or early in 2019. Xiaomi went from being profitable in 2016 to taking a 43.9 billion yuan ($6.9 billion) hit in 2017. Revenue, though, soared 67.5% to 114.5 billion yuan ($18 billion USD) last year. The IPO could end up the largest in the world since 2014, when China's Alibaba raised $25 billion. You can view the Application Proof for the IPO by clicking on this link. Wish they come to Canada too!!! Then its highly likely Xiaomi will be my next phone!!!! Did you create an account to post this s**tty advice? Xiaomi vs. Huawei in the US? My distrust was always in xiaomi and never in huawei until recently. Why is it the opposite now with the gov't? The US Gov would say threat of spying, ironically when the Snowden leaks were released it turned out the NSA was regularly hacking Huawei servers and this was reported in the New York Times. It's more than likely protectionism. In telecommunications equipment US company's just cannot compete with Huawei, they sell higher quality at around half the price of US equivalents. With phones it's more than likely Apple and Samsungs lobbying dollars at work here, Huawei are now a genuine threat in the phone market. I am waiting for Xiaomi to release that phone usedin the thumbnail. Will it be the Mi Mix 3?